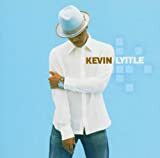 Kevin Lyttle's, "Turn Me On"
You're going home with me tonight! Uh-oh. Sounds like he's taking her to his house against her will. And to think, the song is so happy-sounding and upbeat, but these lyrics just creep me out!